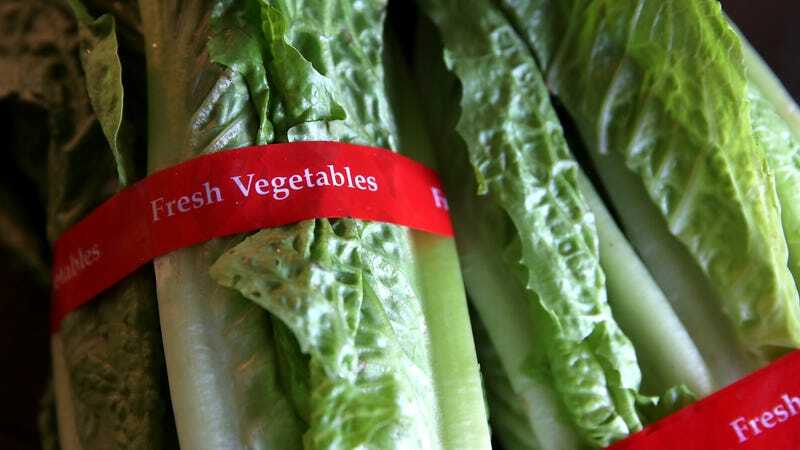 The Centers for Disease Control and Prevention (CDC) issued a warning earlier this week not to eat romaine lettuce of any kind as the result of a new E. coli outbreak that has sicked more than two dozen people across 11 states. Scott Gottlieb, the commissioner of the Food and Drug Administration, tweeted Thursday that the FDA was working closely with other government agencies to determine the source of the E. coli outbreak, but he noted that it was “likely that the implicated produce is from California.” Gottlieb also said that part of the reason such a sweeping warning against consuming any romaine products was issued was in part because of difficult-to-distinguish labeling as well as the Thanksgiving holiday. The current E. coli outbreak has sickened 32 people since early October, with 13 hospitalizations and one person reportedly developing a type of kidney failure. The CDC advised against eating “any romaine lettuce, including whole heads and hearts, chopped, organic and salad mixes with romaine until we learn more,” adding that you should definitely chuck it if there is any uncertainty. The CDC said that the strain of the current outbreak, E. coli O157:H7, has the “same DNA fingerprint as the E. coli strain isolated from ill people in a 2017 outbreak.” That outbreak occurred around the same time last year, which Gottlieb told CNN indicated it was associated with the end of California’s harvest season. As of Thursday, the CDC was still advising people not to eat any romaine lettuce. Gottlieb said the FDA is hoping to have an update on the outbreak by Monday following the Thanksgiving holiday.